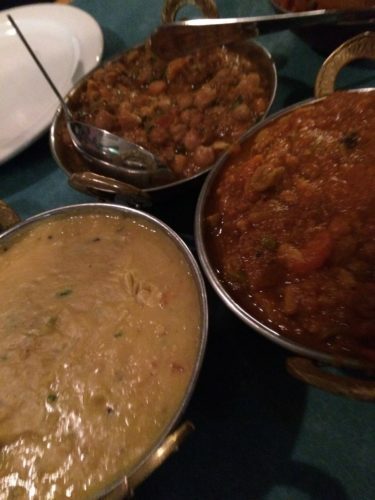 About: Traditional Indian food and an all you can eat buffet. 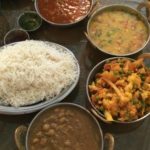 With all the ghee (clarified butter), dairy cream, and paneer (farmer’s cheese), eating at Indian restaurants as a vegan is often a difficult task. 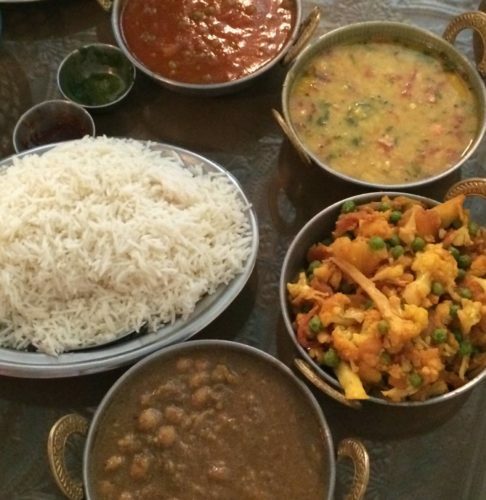 Plenty of Vegetarian, but few vegan dishes. That’s not the case with the Curry Kitchen. If you let them know that you’re vegan when you arrive, they will immediately know to make you some complimentary naan that is free from butter and milk, which they regularly serve. If you’re there during lunch time (11 am to 3 pm), you’ll experience the buffet. 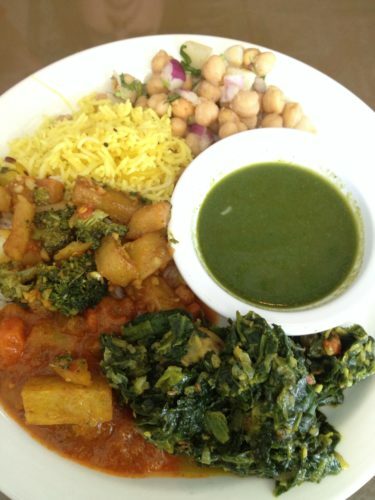 Just ask what vegan items are on the buffet and the staff will gladly be your guide. 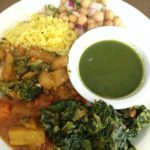 On the day we visited, 3 of the 9 hot dishes on the buffet were vegan, along with two kinds of rice (try the lemon rice – it’s amazing! 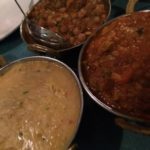 ), and some salads as well (like the Chaat (chickpea salad) one shown here). Once you’re armed with knowing what is safe to eat, you’re free to go up as many times as you like for $8.95 ($10.95 0n the weekends). During dinner, you can order off the menu. Again, just ask what is vegan or what can be made vegan and you’ll be all set! The menu is large and you may have a hard time deciding. That just means you’ll have to come back and try more!